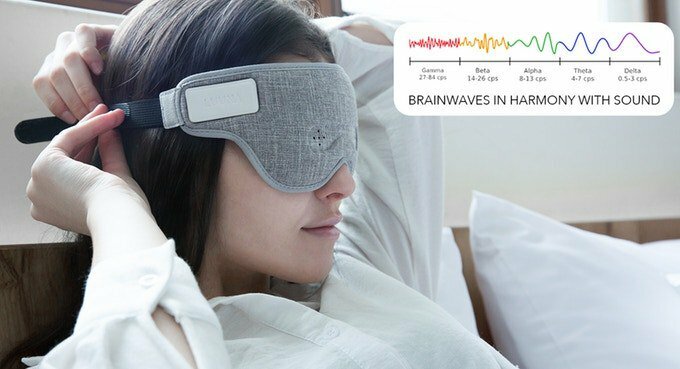 Xiaomi has recently introduced a new sleep assistant that can capture your brainwaves and synthesize music at the moment to help you sleep. This product is called xiaomi brainwave eye mask and is provided by Hangzhou Enter Electronics Technology Co., which also provides after-sales services. The forehead area of ​​this eye mask has three electrodes that capture brainwave data in real time, and using the artificial intelligence algorithm to adjust the parameters of the model in terms of the brain wave condition, they get music at the right moment. Music gradually enters the brain's frequency into the θ group, so that the brain can calm down and you gradually fall asleep. And when you deeply immerse yourself in sleep, this mask automatically reduces the volume to protect your hearing. xiaomi brainwave eye mask is made of synthetic linen. The face that comes in contact with the face has a high resilient sponge. This feature maintains good ventilation and can be used throughout the year, in different seasons. The device uses a lightweight design, weighing only 50 grams, and provides a 99% coating cap. This mask is also removable and washable.